The lands beyond the 55 degree South latitude seem poor in biodiversity; barren islands swept by constant winds. The Cape Horn National Park is the last frontier before venturing into the frozen world of Antarctica. Since 1945 the park has been protecting this southernmost Chilean archipelago, but scientists under the leadership of Dr. Ricardo Rozzi of the Omora Foundation sought to extend the protection up north to the Almirantazgo bay area. 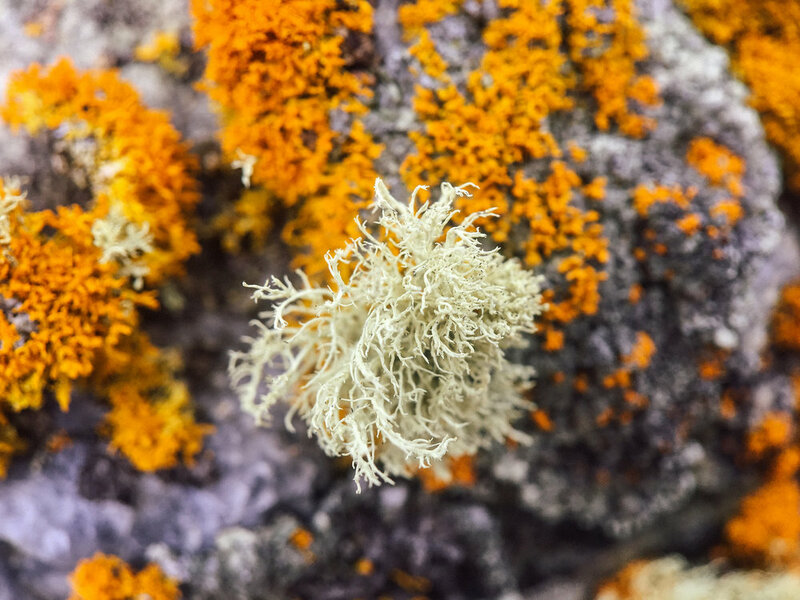 In order to do so, among other things, they had to look down at the microscopic worlds of mosses and fungi, where they discovered a stunning diversity: this almost 5 million ha region is where over 5% of all moss, lichen and liverwort species in the world are found. With the help of these tiny allies the UNESCO Cape Horn Biosphere Reserve was created in 2005. This area incorporates the Cape Horn and the Alberto D’Agostini National Parks at its core, and covers the Navarino Island and the fiords and channels stretching all the way north, to the border of the Karukinka Natural Park. First of all, I love mosses, mushrooms, tiny plants and lichens. Therefore, going to Isla Navarino to visit the Omora Ethnobotanical Park, site of the “miniature forests of Cape Horn”, was something close to an obsession. Exploring at a slow pace an area of a few square meters, perched over fallen trees or rocks, all covered in mosses, fungi and liverworts, was an incredibly fulfilling experience, especially since we had an expert guide with us from the Omora Foundation. It was so different from what we normally do — hike, covering miles and focusing on getting from point A to point B in a certain amount of time. Now the focus was staying put in one small area and looking into the world at our feet that we otherwise just pass in the quest to conquer miles. The Omora Foundation are also the promoters of the concept of “tourism with a magnifying glass”, the idea of slow exploration with the special interest of discovering this unique ecosystem. 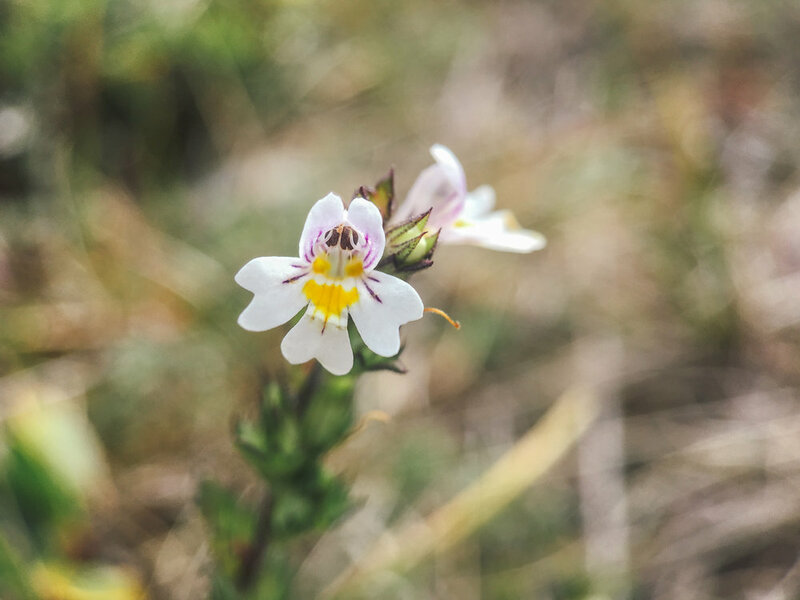 Starting in the Omora Ethnobotanical Park and spending a week in the Yendegaia Bay which is also part of the Cape Horn Biosphere Reserve, I had plenty of time to feed my curiosity of looking down into the micro-worlds around me. This activity and new-found passion gave me a different perspective. It created a path to a deeper connection with microscopic organisms that are sometimes ignored. It’s easier to observe and understand the behavior of an animal, or to look at a beautiful flower and feel moved. It’s harder though for us humans to really empathize with liverworts, mosses or lichens. However, staring at these microscopic organisms for days, I found them to be creators of complex beauty, geometry and art. Discovering the diversity of shapes and colors, their juxtaposition, their patterns and textures was always a surprise that kept up the excitement for exploring. From lichens and fungi I started looking at tiny grasses and flowers, all contributing to the incredible mix of colors present in the landscapes of the UNESCO Cape Horn Biosphere Reserve. From the hundreds of photographs taken, below is a small selection that will hopefully inspire some curiosity about getting to know better the hidden worlds that lie at our feet. Approaching the rocks in the Yendegaia bay a different world appears. The incredible diversity of shapes and patterns of the crustose and foliose lichens on a square inch of those rocks is a source of amazement for a nerd like me. I'm in awe of such micro-organisms but know little of their scientific names. A "Lichen-101" important piece of information, though, is that they are not plants, nor animals. They are something of their own, a partnership between an alga and a fungus. This symbiosis helps both survive in an environment that could be fatal if they had gone their separate ways. Second important lesson about lichens is that they are great at detecting air pollution. When a diversity of healthy lichens like the ones in the UNESCO Cape Horn Biosphere Reserve is present, it shows that the air is healthy too. It's why in urban environments the lichen diversity is much less impressive. 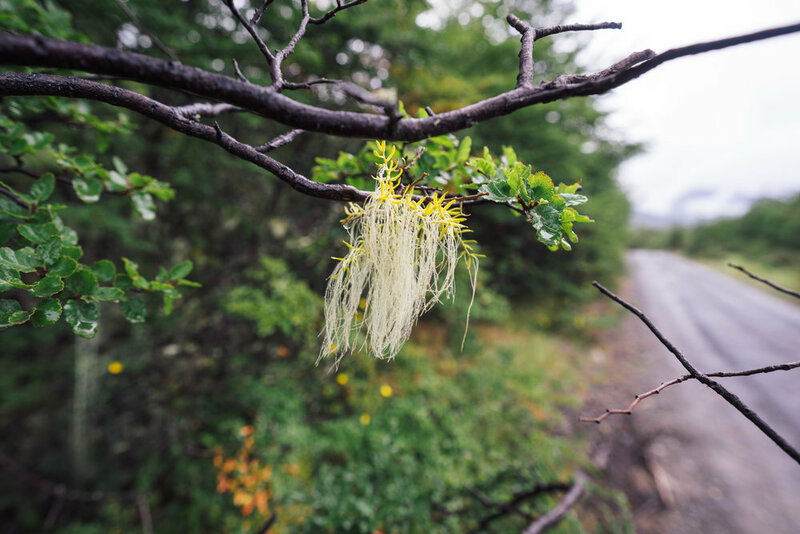 This region at the southern bottom of the world has been identified as one of the 37 most pristine areas on the planet, which explains why almost every rock and tree is the host of miniature forests of lichens, mosses, liverworts and hornworts. Another important lesson: recognizing and naming lichens correctly is daunting. There are at least 20,000 different species worldwide. Here, a type of fruticose lichen. In this lichen the algal half of the organism is the cyanobacteria, visible in the blue color. Tiny insects inhabiting what looks like a Xanthoparmelia foliose lichen. The colors of the Yendegaia Bay are one of the most mesmerizing memory I have of that place. Moving away from the lichens, mosses and liverworts, I started observing the vascular plant world around me. These shrubs were starting to turn a bright red in anticipation of the approaching fall season. 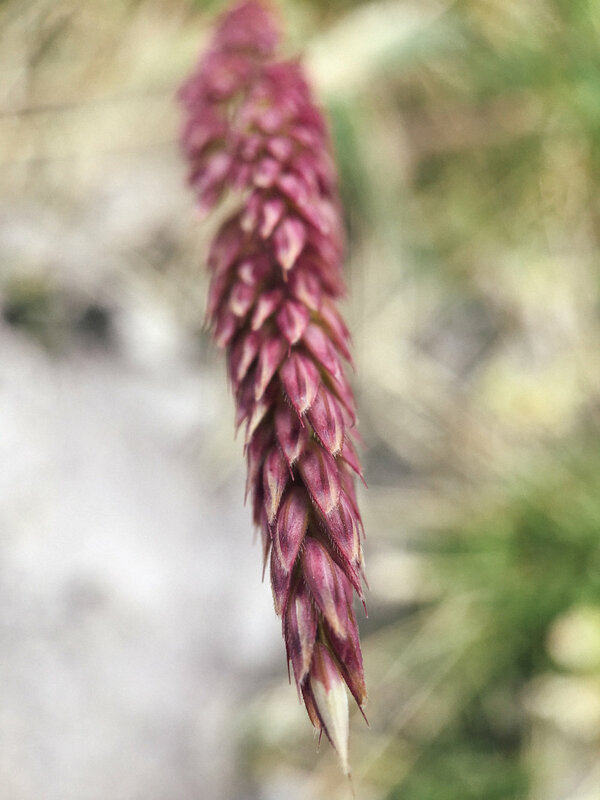 Below are a few of the photos taken of small grass vegetation, succulents and tiny flowers. Tiny mushroom surrounded by liverworts. The latter are a type of non-vascular land plant. 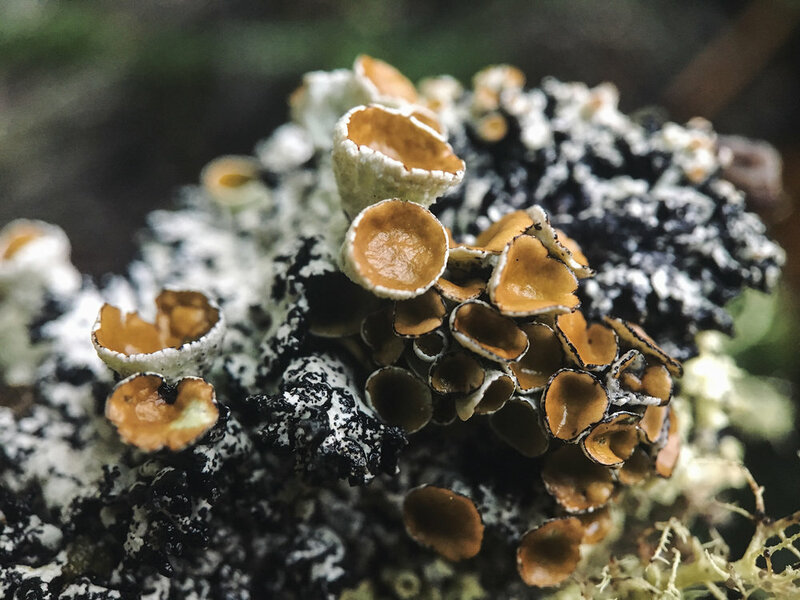 If you want more details about lichens and their alienish world you can get your fix here, probably the best online resource on the subject although it's focused on species from Australia. For a better understanding of the Omora Ethnobotanic Park and the concept of exploring "the miniature forests of the Cape Horn", the book co-authored by Dr. Ricardo Rozzi is an excellent read and can be ordered here.